When you’re looking for a new fastener distributor, there are a lot of variables to consider. Can they source the fasteners that your operation relies upon? Are they dependable? Do they offer competitive pricing? Is their customer service capable of handling your questions and concerns? The team at Engineered Components Company strives, at all levels, to make the answers to these questions clear. With the largest catalog of fastener products available, a track record of reliability, cost-efficient pricing, and an attentive, responsive customer service department, we’re confident: you won’t find a better fastener distributor in the industry. Our catalog isn’t big, it isn’t even huge: it’s massive! With an unparalleled selection of fasteners, from polyseal T-nuts and self-drilling screws to mating screws and encapsulated T-nuts, we’re certain that no matter what you’re looking for, you’ll find it! Enforcing a strict quality control process, Engineered Components is an ISO 9001:2008 certified fastener manufacturer. We strive, at all times, to meet – or exceed – IFI and ASTM standards. We understand that our customers rely upon us to provide mission-critical components and, because of that, refuse to compromise when it comes to quality. Beyond offering a wide range of fasteners, we are committed to providing the absolute best customer service in the industry. When you call us, you can be sure that you will reach a real, live person who will work with you to understand your challenges and, more importantly, will help you overcome those challenges. At Engineered Components Company, we have grown to become the most reliable fastener distributor in the industry. Since 1983, we have dedicated ourselves to improving our products, our offerings, and our processes. 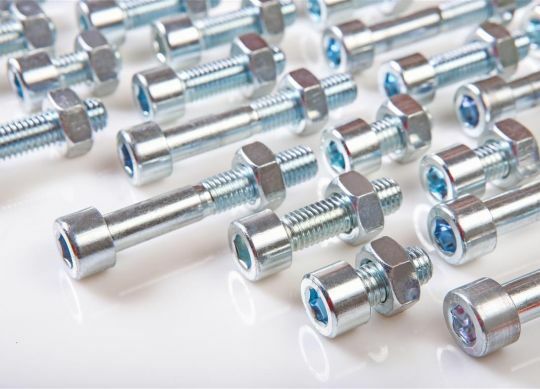 If you’ve been searching for a distributor of high-quality fasteners that will work with you to address the issues that you are facing, contact us today to discuss how we can help.